Buffalo were central to the Sioux way of life. The term “Sioux” refers not to a single tribe but to a group of allied tribes speaking a related language, and was applied to the tribes by incoming French and British. 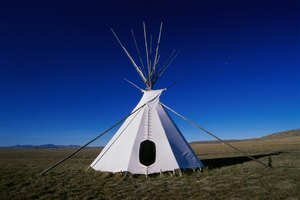 Today, the Sioux commonly self-identify with smaller groups based on language, like the Lakota Sioux, or on a particular place, such as the Cheyenne River Sioux. Between the introduction of horses by colonists and the establishment of reservations in the 1860s, Sioux life was largely nomadic and based on buffalo hunting. This lifestyle heavily influenced the tools and equipment the Sioux used in the daily lives. Sioux hunters preferred a short bow when hunting bison, even after the arrival of rifles on the Great Plains, according to Pekka Hämäläinen of Texas A&M University. 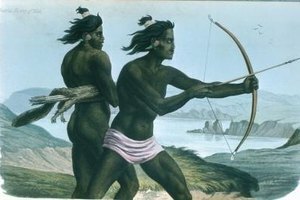 Gunpowder and balls were expensive and took time to reload, while the Sioux could supply their own arrows and maintain rapid fire in the pressure of the hunt. Lances were also useful. Each hunter marked his arrows and lances with a specific symbol to enable him to claim his kills. 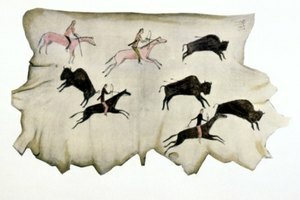 Many Sioux hunted on horseback, but hunting on foot survived much longer among tribes in the northern parts of the Great Plains where horses were scarce. The Sioux's nomadic lifestyle followed herds of buffalo as they moved across North America's Great Plains. 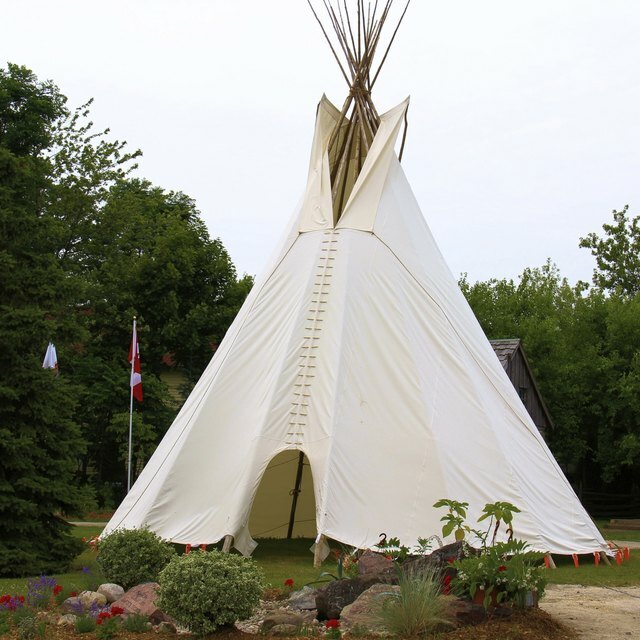 Distinctive three-pole tipis made an ideal home for people on the move, as the poles and their waterproof buffalo hide outer cover could be erected and dismantled quickly. A smoke-hole at the top enabled ventilation and allowed smoke from the fire inside to escape, while a sophisticated double layer of skins prevented rainwater from entering the dry interior and helped keep heat in the living space. Sioux women performed all the food preparation, from butchering buffalo carcasses to preparing meals. They created their tools from the things they found around them; buffalo meat could be preserved by drying it over stripped willow branches. 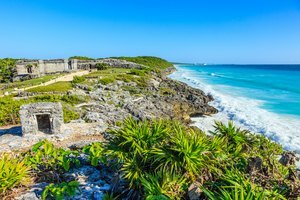 Alternatively, pounding the meat on a stone using a hide-covered round stone created long-lasting pemmican, similar to jerky. The Sioux created carrying cases from deer hide, known as “parfleches,” to transport important belongings like headdresses, moccasins and clothing. When moving camp, the Sioux bound poles together to create makeshift carts pulled by horses or dogs. 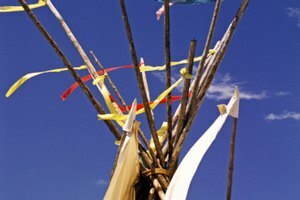 The parfleche, along with the rolled tipi, were piled onto the poles, while the accompanying Sioux either rode on horseback or walked alongside. Kennedy, Rita. "What Tools Were Used by the Sioux Indians?" 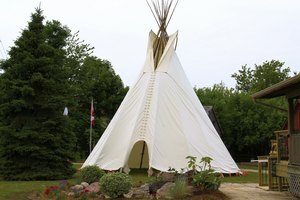 Synonym, https://classroom.synonym.com/tools-were-used-sioux-indians-5425.html. Accessed 18 April 2019.